HAPPY Holidays — Homemade Sea Salt Caramels Recipe! 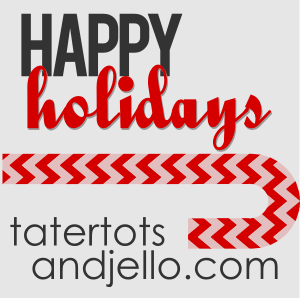 Merry Christmas Tatertos and Jello readers! I can’t believe Christmas is only a week away! I’m Anna from Ask Anna and I am anxiously awaiting the “big day” but I’m also doing a mad rush to finish up Christmas presents and bake to my hearts content! Today I’m going to share with you an easy, to-die-for recipe, for sea salt caramels. I found this recipe last year and I have made it so many times because it’s a hit at every party and get together. 1. Prepare an 8-inch baking pan by lining it with aluminum foil and spraying the foil with nonstick cooking spray. 2. Place the cream in a large saucepan over medium-high heat and bring it to a boil. Stir in the sugar, corn syrup and honey and stir until it begins to boil. Periodically wipe down the sides of the pan with a pastry brush dipped in water to prevent sugar crystals from forming. 3. Cook the candy, stirring occasionally, until it reaches 257 degrees on a candy thermometer. 4. Remove the pan from the heat immediately and stir in the butter, vanilla, and 2 teaspoons of salt. 5. Pour into prepared pan and place it in the refrigerator until firm enough to cut. 6. Cut the caramel into small squares or strips with a chef’s knife. I cut them into pretty small squares because they are very rich. 7. After cutting the caramels place them in the freezer for at least 10 minutes. The colder they are the easier they are to dip in the chocolate. 8. Set aside a small dish with about 1 TBS of sea salt. Having the sea salt right at your fingertips makes it easier to sprinkle on the caramels while they are cooling. 9. Temper the chocolate and dip the caramels in the chocolate one at a time. 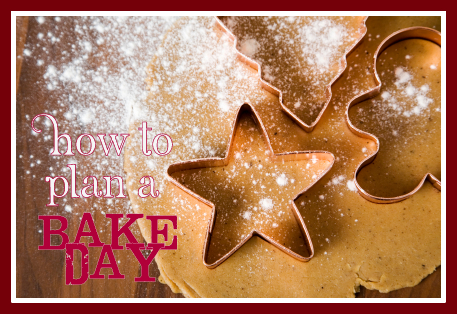 Place them on a baking sheet covered with waxed paper or foil to set. While chocolate is still wet, sprinkle on the remaining salt and allow to set completely. I like to wait until after I’ve done an entire row of caramels before adding the salt, otherwise the chocolate is still too warm and the salt just melts into the chocolate. Store them in the freezer and take them out about 15 minutes before serving. I guarantee your friends and family will love these! My friends love them so much that they actually request them now! Have a wonderful Christmas and I look forward to seeing you all next year! Anna! Those are amazing – I can’t wait to make some for my neighbors and my kids’ teachers. 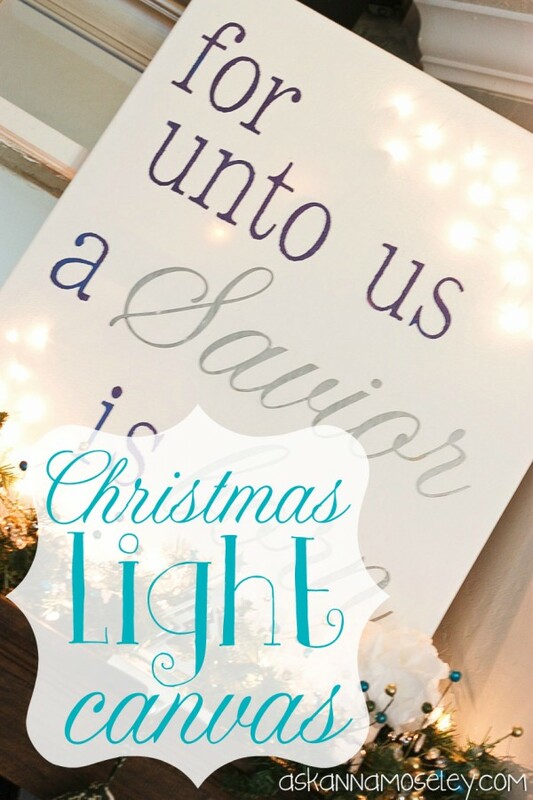 I’m a little obsessed with this Christmas Light Canvas that Anna made – beautiful! 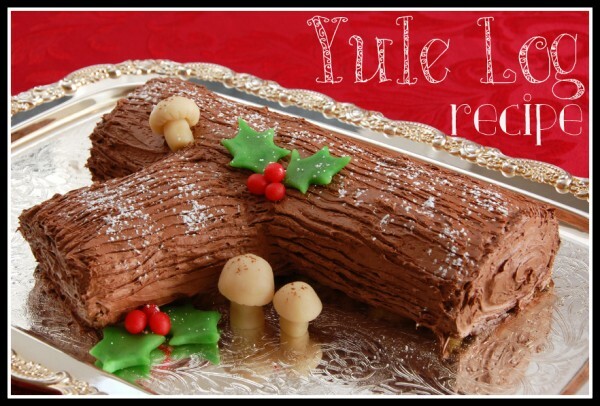 And we have a Christmas Eve Brunch every year – I love this Yule Log Cake that Anna made. I would love to make it for our brunch! Plus, Anna has amazing cleaning and organizing ideas. Be sure to follow along with Ask Anna in 2013 for ways to make the year even better!! HAPPY Holidays – Holiday Eggnog Quick Bread Recipe! HAPPY Holidays — Make Monster Snow Hats! I AM SO THRILLED TO TRY THIS RECIPE FOR THE SEA SALT CARAMELS. I THANK YOU FOR SHARING. These look delicious! I noticed to cook them to 257 degrees, does this make them hard caramels or is this the temperature that you need to cook to because of where you live? The recipe says to cook them to 257. When you take them out of the freezer they are hard but after about 15 min they are perfect for eating. I wouldn’t cook them any lower because I think they’d be too mushy.